Valentine’s Day is around the corner, and many people are wondering how to express their love to friends and family. Some people have a much easier time expressing love than others, so if you’re unsure, here are ways you can express love to your loved ones. When it comes to Valentine’s Day, the thing that immediately pops into most people’s head is giving gifts. Although you might feel obligated to buy something extravagant for a family member or special someone, small gifts can express your feelings in the same way. Red roses, candies and chocolate, stuffed animals, and jewelry are all examples of traditional Valentine’s Day gifts, but your options aren’t limited to just those. Handmade gifts can often be more expressive and personal, as well as more cost effective. No matter what kind of gift you decide to get someone, whether big or small, store bought or handmade, keep the recipients’ interests in mind, and remember: it’s the thought that counts! Another way to express your love to your friends and family is simply by telling them that you love and care about them. Hearing the words “I love you” or “I care about you” can mean a lot to someone, however saying those few words can be difficult to get out for some people. If that is the case for you, writing a letter to express how important someone is to you and letting them know how much you care is another effective way to get the message across. An Oceana student who wishes to stay anonymous stated, “Expressing love can be hard for me because I don’t really have anyone to express [it to], but if I could, I think the best way to show love is with a hug and simply telling them you love them and that you’re always gonna be by their side.” While it can be surprisingly hard for how simple it seems on the surface, using your words to express your love for someone can be the most heartfelt and most rewarding way to do it. Due to the way Valentine’s Day has been commercialized, we tend to see the holiday as a day that we solely think about others, but in the same interview, the Oceana student brings up a good point. They said, “Not only can we express love to others, having self-love is one of the biggest things…” Valentine’s Day does not just have to focus on expressing love to one another, but can also be a day to consider whether or not you’re loving yourself enough. Treating yourself to something or taking the day to relax and relieve stress can be a great way to do so. 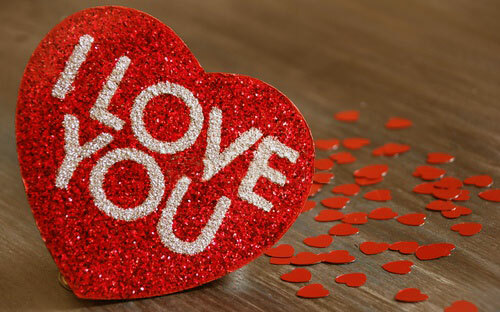 Valentine’s Day is a meaningful day that allows us to show others that we love and care about them. Just don’t get too caught up in the expectations of expensive gifts and dates, and don’t forget to love yourself as well.